• The noble Quran_____The polytheists of the Quraysh gathered to consult each other on a strategy to prevent Prophet Muhammad from inviting people to Islam, especially as the Hajj (pilgrimage) season was nearing, and the Prophet would surely call people to embrace Islam during it. They agreed on warning people against listening to the Prophet . Among the pilgrims was At-Tufayl ibn ‘Amr Ad-Dawsi, the chief of the tribe of Daws. Description: The Muslim sacred scripture, namely the Qur'an, lovingly invites people to accept the man whom God chose to deliver His final message to them: Muhammad r.
Description: The Biblical evidence that Muhammad r is not a false Prophet. Part 1: The difficulties faced in discussing biblical prophecies, and accounts of some scholars who attested that Muhammad r has been alluded to in the Bible. Part 2: A discussion on the prophecy mentioned in Deuteronomy 18:18, and how Muhammad r fits this prophecy more than others. Part 3: A discussion on the prophecy mentioned in John 14:16 of the Paraclete, or “Comforter”, and how Muhammad r fits this prophecy more than others. 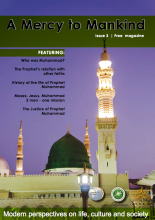 Description: The Biblical evidence that Muhammad is not a false Prophet. Part 4: A further discussion on the prophecy mentioned in John 14:16 of the Paraclete, or “Comforter”, and how Muhammad r fits this prophecy more than others. Here is a new astounding prophecy; in this prophecy prophet Muhammad predicted the swift spreading of Islam and that Islam would cover the whole of the earth. We will get to know this through this modern statistics regarding the number of Moslems all over the world. Description: The nature of the miracles performed at the hands of prophets. Description: A mention of other various miracles of the Prophet, may God praise him. There are many other miracles which the Prophet performed related in the Sunnah, or conglomeration of the sayings ,deeds, approvals, and descriptions of the Prophet. 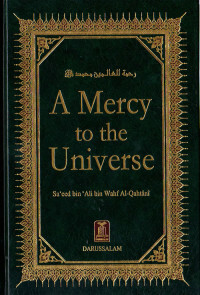 Description: Prophecies of the Prophet Muhammad which were fulfilled in his lifetime and after his death. 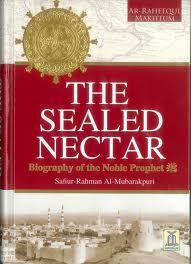 These prophecies are clear proofs of Muhammad’s prophethood.